Breakfast of champions! 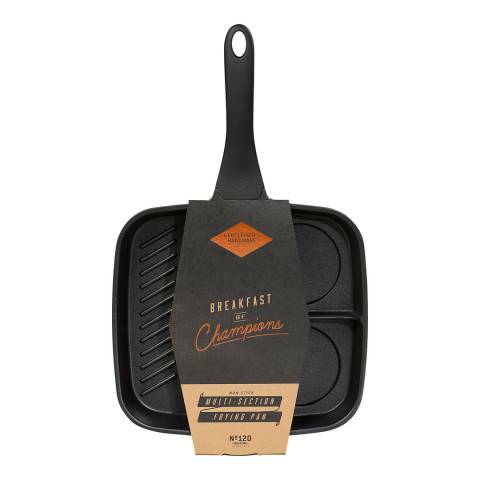 Start the day right with the perfect fry-up made with the Gentlemen's Hardware Multi-Section Frying Pan. Ideal for having all your fry-up ingredients ready to eat at the same time, the cast aluminium pan features one large griddle section, which creates professional seared lines for healthy, lower fat cooking, and two smaller sections for other breakfast foods. 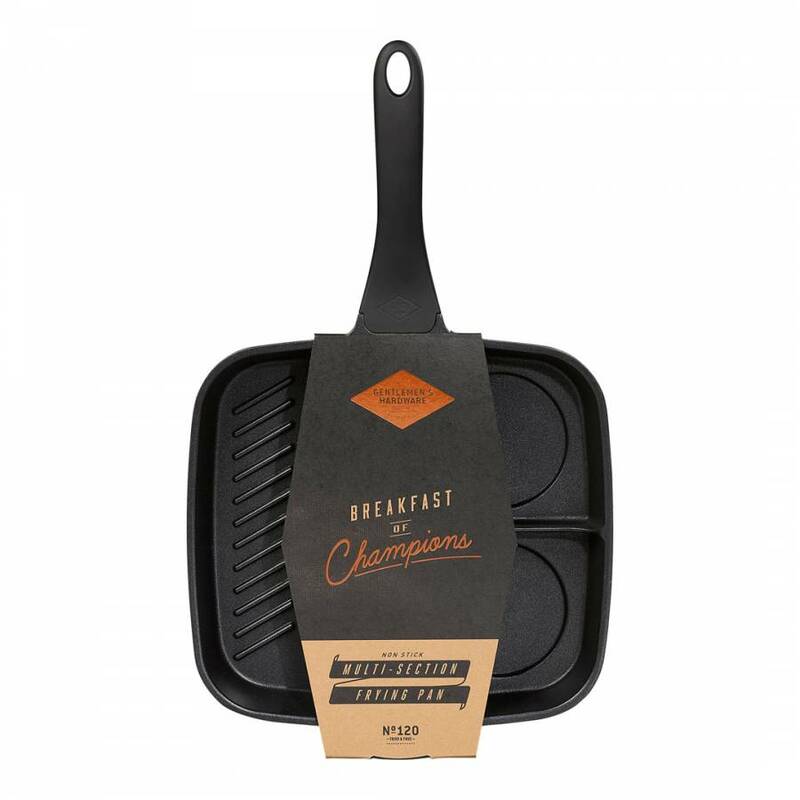 Complete with a branded silicone handle for safe frying, all compartments are non-stick, ensuring great results every time.